One aspect that sets Enterprise apart is the ability to launch a private and collaborative space. 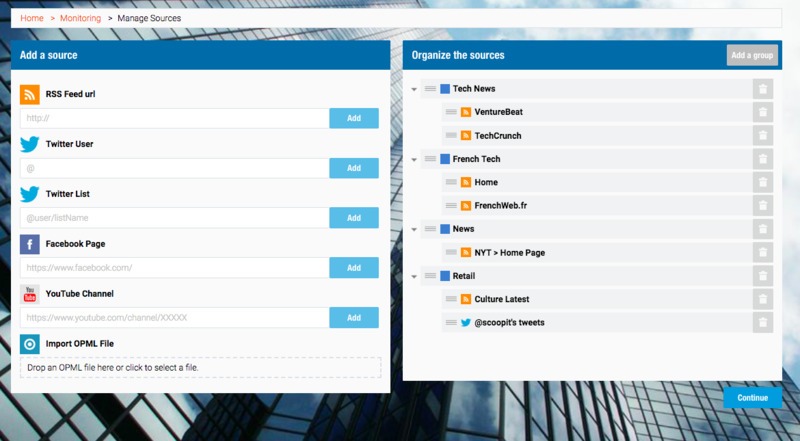 With this functionality, you can manage which team members have access to which content topics. You don’t have to go it alone. Sometimes, you need to collaborate with teammates to aggregate quality content on a topic. This is possible with Scoop.it Enterprise. The PLUS plan is limited to one user and is public, which means that anyone can view your curated content. With the PLUS plan, you can integrate the last X scoops of your topic, within an HTML file. These articles are based on when they were published, so you can’t custom pick which scoops are included. When using the PLUS version, the Scoop.it logo is included in your newsletter. You will not have the ability to change the HTML to adjust the look and feel of the page. The enterprise version gives you more flexibility on these points. For instance, you can select any published article and custom fit it in your newsletter template using a simple drag-and-drop feature. This means you not only pick your content but also where it is placed within your newsletter. 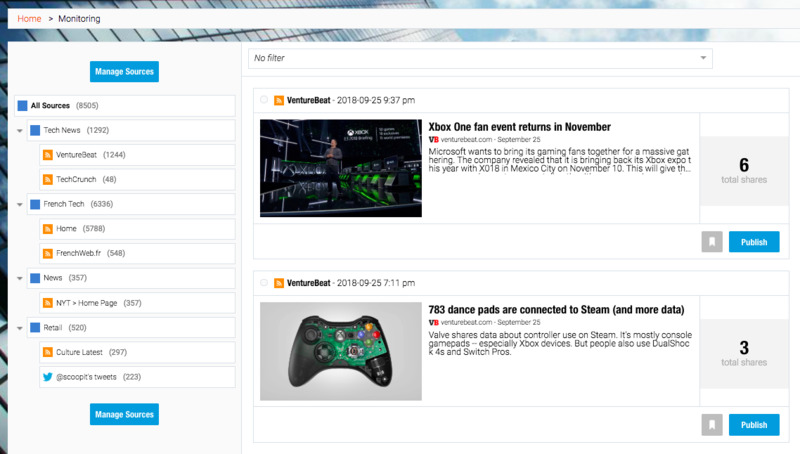 In addition to content published to any topic, you can add widgets like text, images, and more. 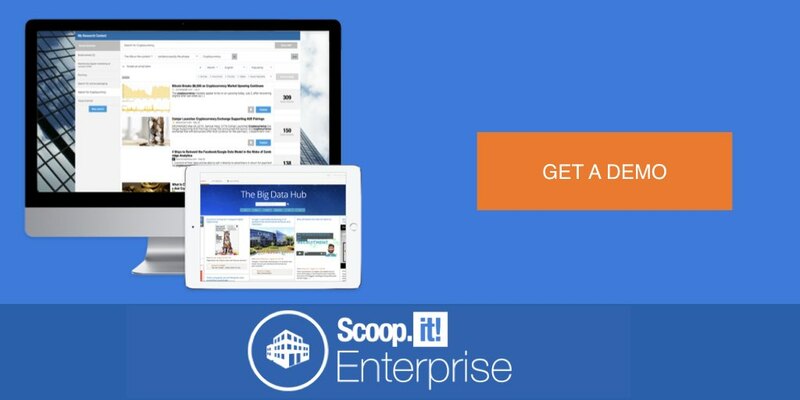 You have more options design-wise with Scoop.it Enterprise. We provide a range of templates out-of-the-box, which you can edit. 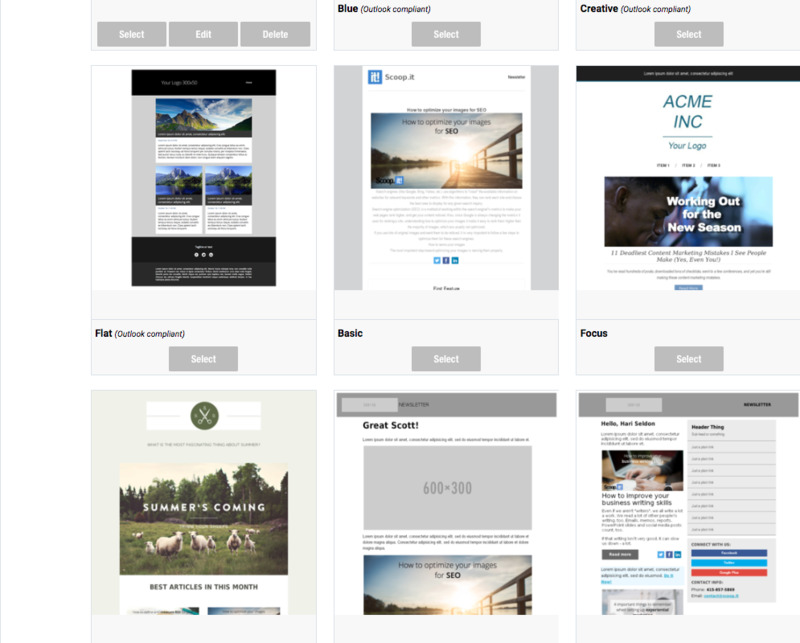 You can take advantage of custom newsletter styling with a completely designed template, created by our design team. The PLUS plan allows you to directly integrate content on a single WordPress website. For some use cases, this is enough but for others with more complex structures or for agencies, multiple websites integration is needed. This is possible with Scoop.it Enterprise. With Enterprise, you can connect multiple websites to your research topic. You’ve also got options for specific projects with other integrations, such as our API. 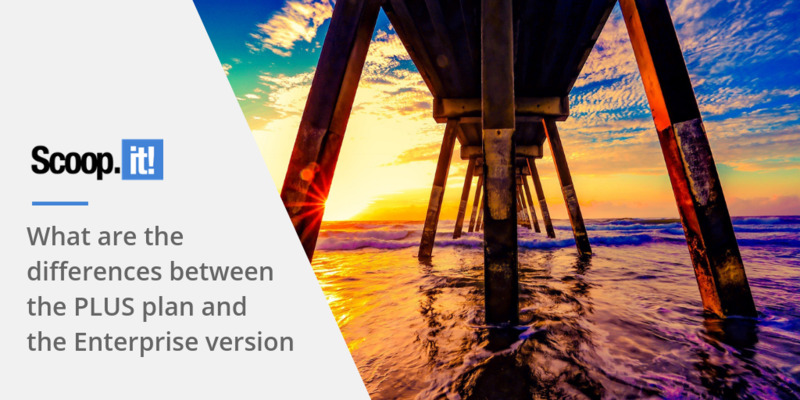 And that wraps up my summary of the key differences between Scoop.it Enterprise and the PLUS plan. To learn more, request a demo and we’ll be happy to help!